On an emotional day when we said goodbye to the RAF (Rosa, A Treat and the Flame) and saw starts of long-term injured super mids Wilshere and Santi, we beat sorry Villa by 4-0 whilst the Spuddies cannot even draw against the equally sorry Barcodes: we finished second – one better than last season – and were gifted an unexpected and ever so sweet late, late St Totteringham’s Day. Oh how we laughed! I only saw the highlights. Earlier in the day, I had been very emotional about Max Verstappen’s first Formula One win – first time ever a Dutchman won F1 race! Two decades ago I was a big fan of his father Jos, who is a fellow Limburger and performed well for Benetton when he was partnered with M Schumacher. But Verstappen senior never managed to win a race, and for his son to do it at just eighteen and in the first time he drove the Red Bull car, is a great moment for the sport in general and for the Dutch in particular. I cannot remember that much about the highlights other than Ollie pouncing lethally on the Villans’ bad defending and Arteta getting a late assist/’own’ goal for our fourth. In terms of goals in open play (so no penalties) per 90 minutes as well as goals/assists per 90 minutes, Ollie is second best in the PL; only Aguero did better. Yes, Ollie outperformed Vardy, Kane and Lukaku, courtesy of his late hat-trick. He will never look as good as Aguero or be as lethal, but with Sanchez being sixth in the open play goals per 90 minutes table (despite injury and a long period of lack of form) and Ozil being fourth in the open play goals/assists table, you can see why Wenger has stuck with the system of a ‘holding CF’ with whom two fellow attackers and a two midfielders work closely to produce chances for a number of players rather than the one super quality CF up-front. When Wenger discussed objectives with Giroud he will have said that creating space/chances for others is AS IMPORTANT AS scoring goals and producing assists…. If you take that into account Ollie has done very, very well, despite his winter/spring goal drought. Is there a better ‘holding CF’ in the league?! One of the big questions of the summer is whether Arsene will strengthen the wing – Ox, Theo, Campbell and (injured again) Welbeck all failed there to a large extent this season which has been very costly – OR buy a typical lethal CF and turn Ollie into a super sub. Both options excite me, and with Theo having been so peripheral and Danny out till late in the coming season at least, it is to be expected that Arsene will now buy fresh fire power in attack. It probably also means that Theo will still be here next year and Iwobi will become part of the first 11-17 squad. It should also pave the way for Akpom getting a proper chance in the team now. And with the departures of the RAF, we are likely to see some strengthening in midfield as especially Flamini will be missed as cover for Coquelin. Cazorla could (gradually) become our experienced midfielder to help us out in the big games and provide excellent cover for the younger but also very talented midfielders Rambo and Jack, just like Rosicky and to a large extent Arteta did for us in previous seasons. But for next season I expect Santi to take up a leading role in deep midfield – the Spanish Pirlo. Elneny and Le Coq, as well as Santi, Jack and Rambo, give us options to vary the composition of the midfield and with that the game specific tactics. If they remain all fit throughout (most of) the season, we could have a real go at the title next season. The addition of the Granit X-man would further strengthen this belief, but that is transfer speculation to which the owner of this site is very allergic. Where I believe we will need to strengthen is in our CB area. I reckon Wenger had a BFG decision moment a few months ago when the German had crucial bad performances against the Chavs and Barcelona in quick succession. It is just a gut feeling, but I reckon Wenger decided there and then that he will need to change the CB pairing going forward. The Koz-Gab combo has done (to me) surprisingly well and Wenger may just trust that Chambers and the BFG will be good back up for the Vault of KOGA going forward, but replacing either of them, or indeed Gabriel, with a quality Sol-esque CB – one with a brain to organise and lead, power and athleticism -would be my key signing of the season. I reckon we have made progress but, like most of us who set high expectations, feel a little bit deflated that we did not win the title. There are good reasons for this, which we can analyse in a separate post later this week, and I reckon that the loss of our central midfield enforcer Le Coq and co-creator and midfield brain Cazorla – whilst Jack, Rosa AND Arteta remained unavailable and the Flame was just not able to keep covering well enough for Le Coq for months on end – proved too much for us. The central midfield area is soooo key in the game – as also demonstrated by the negative impact of the loss of Dembele, Dier and Alli for the Spuddies in recent games – and although we hung on for a while, we lost the dominance and control of the key games, also leading to a lack of chances/goals up-front and brittleness at the back. It also did not help that all of a sudden Ollie stopped scoring, which, like most strikers, he suffers from every season, and that Alexis and Theo were unable to find the net either during the same period. And if and when we did score the vital goal(s), we still managed to give the opposition cheap goals and drop points as a result. Luckily, Iwobi and Welbeck had a number of productive games which has kept us in the top-four when it really mattered. On-field leadership and strength in the spine are absolutely key for next season, and the recent signing of Elneny has me very, very excited for the coming seasons. Cech-Koz/?-Coq/Elneny/Jack/Santi-Ozil/Rambo-Ollie/Sanchez/? should form an excellent strong spine with good leadership qualities going forward. Let’s get a quality, experienced CB, and maybe a beast of a CF to create a super spine, and/or have an even better ‘Plan B’ alternative for Ollie as holding/enabling CF than Welbeck is, to further improve the spine: one that is capable of leading us through the hard times and to glory. To further cement this we need a very good captain, and as per a recent post, I reckon that Santi and Jack should take this role on next season. A CB, defensive midfielder/enforcer cover and a multi-functional quality attacker CF/Winger, and let’s give Akpom and Iwobi a chance to fight themselves into the first team: those are my wishes….. But are they yours as well? Well done to the boys this season; and good luck and a big thank you to Mikel, Tomaz and Matthieu for all they did for our team over the years: three true Gunners that set our Gooner hearts on fire time and again. We will miss you and good luck! As an gooner, any transfers are rumours until announced by the official site. We sure need those guys, but in the end money talks. Well written T.A and many thanks to you and 17ht for all your efforts this season. Nice to see Ollie get a hat trick. There is little doubt in my mind that his scoring drought was responsible for us not winning the league. The six million dollar question and I suspect not a simple one to answer, is did his form desert him or did the service to him dry up? I agree with pretty much everything you have said, but if at all possible my new centre back would also be a captain/leader. Lastly I may be wrong, but Wenger thanked Rosicky and Arteta for their service, but not Flamini. So he either doesn’t like him or he is considering a contact extension. Cheers TA. Great positive wrap up. The outcome couldn’t have been written any better. We win, tots lose, and arteta scores (stuff the goalkeeper own goal rubbish). Happy days. Nice positive summary. I saw a tweet that had Giroud scoring the second most non-penalty goals on average. Not a bad effort given the drought. People like to say “but he hasn’t scored for x number of weeks” but let’s not forget he was playing less minutes due to Welbeck performing. Sad to see the 3 vets go. Arteta came when we needed leadership and a calm head to steady the ship. Rosicky was one of my favourites but crueller by injury. Flamini was unstoppable in the season before he left for Milan ( I’ll never forget that midfield of flamini, hleb, fab, and Rosicky…a joy to watch). Flamini copped it during the last two seasons, but in fairness he played more games than he should have due to others falling around him. That was a pretty effective midfield, Oz. Really good article. The only arsenal blog that I will read. Next season For me, Get Jack the armband, a centre back and a striker, everyones xhaki. Yes Le Coq’s injury meant a set back in performance as it took ages to get back to normal. I rate Akpom but attitude is key of course: what is it that you do not like about him? Equally, a stronger enforcer to give us 2.5 of them (Coq, El Neny and ??) would help. Hi all.. Happy St. Totteringham’s Day..
We must hope Spurs to be better next season.. so we can win the PL.. hahaha..
For me.. Wijnaldum is a better choice..
Not because he is dutchman.. He also Half price from Xhaka.. If he can score 11 goals for Newcastle.. than he certainly can also do more at Arsenal.. Compare to Xhaka only 3 goals this season..
And don’t forget he was the best Eredivisie player last season..
And what about Hakim Ziyek or Vincent Jansen..?? He can score a lot.. I love Ibra.. but for 600.000 a week, I don’t think he fit Wenger’s way.. hahahaha..
Hey prof, good to read your comment. Yes one good quality player in every rank would be great. Hahaha HeheheheHenry, that is asking for trouble. I rather win the league with Spuddies playing Spursday nights in the EL! Wijnaldum would be a clever buy as he has more to offer and yes he has scored a lot this season, but I don’t think he offers much defensively. Let’s start from the start of the game. We have done quite well from the start, with Villans predictably attacking us and making sure that we do not have too many chances. However, we managed to score from a delicious Nacho cross to the head of Ollie, which I rate Nacho highly as my MoTM. His positioning in defense and attack is near perfect. After a while we were back in our cocoon after scoring the first goal, sitting back and soaking up pressure from the Villans. My brother was switching between this game and the Newcastle one, and with the cameras’ feed being focused more on the spectators than on the pitch during the dull affair, it was a frustrating moment to watch. Then, celebrations among the fans on news that NewU have scored a second goal. More channel changes. During those moments, we have a few spurned chances by Jacko, and over-passes by Alexis, which were frustrating. I thought we will end the game with a draw then as Villans have some nice touches, and thankfully we were lucky to have a good defense, though shaky. Then, came Giroud with his quick-scoring trick. Ozil is one of those lively midfielders and although his 19th assist of the season did not break Henry’s assist record, he is quite a good all-rounded player. Then Bells came and provided a quick assist to deflate the Villans. In between, we were amused that spuds managed to concede more goals, and then it came to me that second spot is ours. St. Totteringham’s day is also here. On the final day of the season. Then, the introduction of our very own El Capitan is long overdue in my opinion. I know that we were chasing the game earlier on, but if El Capitan comes in earlier we would have celebrated his last time even more. And maybe Rocky. However, time decided that we have enough to ensure a fitting send-off for a scoring AM in his younger days by scoring. It later came through as a OG off the bar and via the keeper. I will put my take on El Capitan and Rocky in another post, and not forgetting Flams too. I feel bad for spuds not because of their fate, but it reminded me of our collapse a couple of years ago when we could have secured second place at least, if not a league win. We need another Arteta-esque or Vieira-esque leader both on and off the field. Rocky is a good leader, but he is gone too. I would have preferred Danny Drinkwater, if not for his surname and his current club, but if Wenger feels that a better midfielder can come in to replace those retiring, I am ok with it. And make Santi our new El Capitan. Our captains for the last few seasons have been cursed, like beset with injuries for most of their career after being promoted. If that is the case, maybe we make Per the captain as we have a good deputy in Gabby (tongue in cheek). To end off on a high, we need to sign a new players from the Defense, DM and out-and-out striking positions. Not too many players, just 3 or 4 will do, as our current players certainly have the mentality and i hope all Gooners around the world are happy to support them. Cheers 84, that is a proper comment and what we like at BK. And agreed on Nacho: what a player! Although I would like Alexis to be our MoTM, the never-ending Energizer battery / bunny has seemed to lost a little flair since his return from injury. And his crosses are not as sharp anymore. I can tell that from Rambo, as well as Jacko and Theo, but somehow Santi is still the same old him in his last game of the season. Closely sticking to his close friend Nacho, his interplay between defense and attack is much better than Elneny. But they are 2 different builds and their play is certainly very different. Nacho has been the most consistent defender, on par with Bells. Both are equally good and has a good future with us. While Bosscielny has been solid in the back, he just needs his teammates to back him up and he is a good defender. 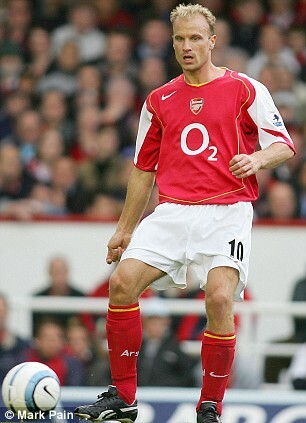 Similarly, Per is one who does not like long runs, and needs to rely on his DM and fellow defenders to assist him. Gabby is an erratic individual who does not know his positioning at best. His best position is closing the attackers down, and not giving them space to exploit. Against the Villans they tried to attack via his side and we were almost a goal or 2 down. What Per does to our defense is not to give us a quick alternative, but a sense of stability as his height aids us in defending from the air. And his positioning is solid, similar to Nacho’s. I guess I will write a season review and send it to TA as this will be a very long comment if I am to type everything here. Monseiur Gerry where art thou? In my opinion monreal has been our most consistent player over the last two seasons. He’s been a new player since his spell at CB. Rarely gets his flag lowered and is x100 better than Gibbs on the attack. It sure was. Flamini had the energy of 2 men, Cesc split teams open, Rosicky had the shot and forward movement that worried defenders, and hleb was beautiful to watch. I remember him always being criticised for not scoring but his dribbling dragged players out of position so others had space. Defenders can be well drilled when setting up a rolling defensive wall…but they hate players running straight at them…Rosicky was always going forward and his long shoots dragged more defenders over. Cesc…hard to defend his through balls. I agree with you 17ht about the clog in our attack.. but that clog scored 3 goals, so I am not sure if it is good or bad. At one moment i wanted Giroud to get subbed out and put Alexis in front and put another midfielder there. Until his secomd goal which is his trademark goal. Not sure if we will get a new striker to plug our shortage of direct shooting strikers, as i feel that Ollie plays best behind a main striker. We are certainly going to be back to 0 when the season starts and hope this time it will be with quality players. With an assist each, the FBs provided the necessary width from what I saw. When teams park the bus we need to be patient and stay solid at the back. However, I reckon we need to get another quality midwinger to get the best out of the holding CF system, and it might be easier to find a mobile, top quality CF instead. Henry was a great striker but really doesn’t get why Wenger builds his team around Giroud’s all round qualities. It is one of the reasons I don’t want him to take over from Arsene eventually..
Hi TA, your right on about Henry, he wouldn’t be Arsenal level managerial material.. He is no technician like Guardiola. I see the importance of Giroud and Enger has been developing the front strikers at youth level to get one that can take over one day. On Akpom it is not his attributes that will hold him back I like his game, that rare mix of hold up play and the ability to turn and run (a Giroud upgrade?) .. he is not short of talent it is simply attitude that might be a problem. How much this is down to the setup at Hull or down to him is hard to tell, but some of it must be his fault for not progressing at that level with the Tigers.. Mavididi is the next in line in that mould I am hopeful for him, but when we talk youth nowadays I see a soft side to them that I guess began with theo and then the ox too.. It’s a tale of warning though and there are those that will come good of course. Iwobi’s character is fantastic I love his personality you can see he will be fine. I hope Willock and the rest learn from him. He is now a key role model, the latest guy that got into the first team. Looking to the near future that mid-winger should be Willock, learning from a new established signing. Maybe the forward can be Akpom.. if he looks to Iwobi. Regarding the striker that we would buy, we can throw up a million names but in the end Wenger surprises us by not signing any. That is still a possibility. Rooney is nothing like Pirlo.. far from that. A player far from his best, beset by injuries or loss of form. For me, Pirlo type of player is Santi, or Elneny. They are mobile, sees chances and creates them. El Capitan seemed to reverse time when he came on for the last time on Sunday and did exactly like what Pirlo would do. I am open to rebuttals.